The Internet of Things (IoT) is already here and is likely to stick around in future, whether you like it or not. 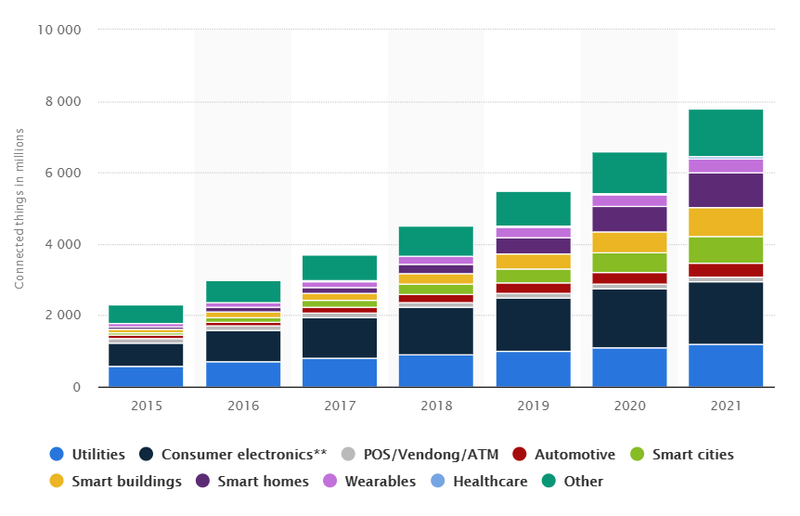 By 2021, there will be more than 7.5 billion connected devices or things in the world. The ever-increasing network of internet-enabled devices and sensors has already started changing the way small and medium businesses (SMBs) do business. 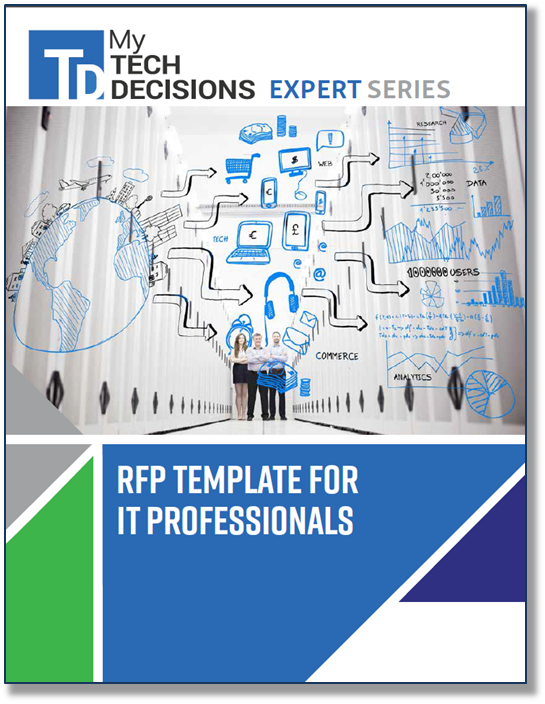 Now's your chance to see what someone else's RFP looks like! Download our template today and get a jump start on your next project. The IoT based applications can bring tremendous benefits to your SMB customers including real-time tracking, remote access, and complete automation. With the emergence of new low-cost technologies and devices, the possibilities for IoT applications will only get bigger and better. As an IT provider, you also need to catch up with this new technology if you don’t want to be left behind. Here is what you need to know. Real-time data tracking and management is perhaps the biggest selling point when it comes to IoT in small and medium businesses. The network of connected devices makes it easier for small business owners to keep track of their inventory, work-flow, and financial transactions. To date, most companies have relied on barcode systems for tracking inventory which requires manual intervention at some point. However, as IoT will integrate the entire production, packaging, and distribution system, it will have zero human interference and the errors resulting from it. Just like smart homes, there will be smart offices, warehouses, and production floors in future. IoT will facilitate the automation of most processes eliminating possible errors and delays. For example, smart cards and remote banking systems will speed up financial transactions. From raw material procurement to customer care, every aspect of the small and medium business will become faster and more reliable. Hopefully, your customer’s clients will also have IoT-based office management systems that will further speed up routine tasks. Chances are, IoT will be able to automate most routine reminders and tasks. It will not only make internal communication faster but also more accurate. Plus, it will free-up their employees from repetitive manual tasks. They can use the free time to manage more constrictive tasks. Remote work seems to the new buzzword out there. An increasing number of industries across the United States are now embracing the concept of remote work. IoT will make remote work even more feasible. 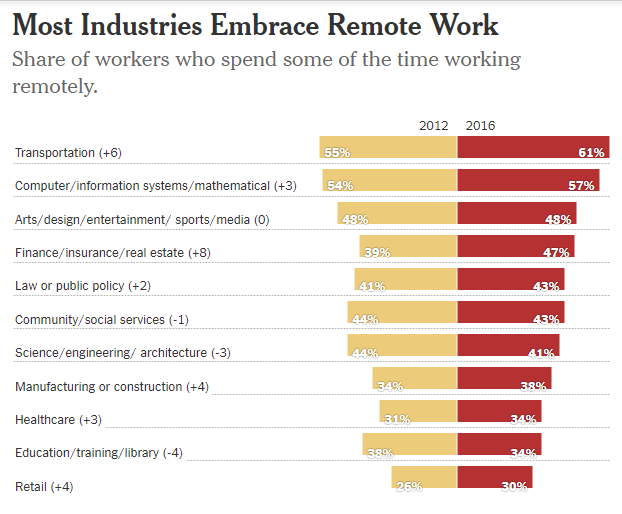 From 2012 to 2016, the number of remote workers in finance, insurance, and real estate grew by 8%, while it grew by 6% in the transportation sector. Cloud-based work platforms and portable communication devices such as laptops and tablets are the backbones of sprawling remote work concept. It will bring a plethora of benefits to your clients. They will be able to work with the best talent in their niche from all over the globe. It may also help reduce employee turnover in the coming years. As IoT enabled businesses can fine-tune daily operations at all levels, it will translate into increased efficiency and productivity. For example, using AI assistants such as Alexa and Siri will create reliably automated ways to communicate with customers. It will help your SMB customers to take their customer engagement to the next level. On the other hand, real-time tracking will reduce over- and under-ordering resulting in higher efficiency and productivity. The data gathered from various IoT enabled devices can also help your SMB customers manage heating, air conditioning, and lighting in the office. It will not only increase the efficiency of these utilities but also reduce the overhead utility costs. When it comes to small businesses, these little cost savings can certainly add up over the course of years. Another significant advantage of the IoT is in the field of human resources. Most small businesses have to struggle with finding the right talent and managing the available workforce. HR software coupled with IoT enabled devices can help boost efficiency and productivity of the workforce without breaking the bank. However, IoT isn’t just about faster business processes, increased productivity, and real-time monitoring; it also comes with a few downsides. The most important concern for your SMB customers (and you as an IT service provider) is the increased security risk. Even the leading private and public organizations have failed victim to data breaches and cyber attacks in the last few years. As the IT service provider, you may have to bear the brunt of a potential hacking attempt along with your customers. That’s why you will need to take care to make the necessary security provisions to protect their sensitive data. Another primary concern is the infrastructure cost. You may have to pursue your customers to increase their annual spending on IT security. However, the benefits of increased productivity and efficiency are likely to offset the security and infrastructure expenses. The implications of IoT and associated technologies such as big data, artificial intelligence, and machine learning are far-reaching. As an IT service provider, you must be aware of the potential consequences of these technologies. Your SMB customers will need equally competent infrastructure to set up interconnected devices communicating with one another in real-time. When it comes to IoT integration and device management, you will be their go-to guy. However, with the increasing penetration of IoT devices, keeping them updated and secure will be both expensive and arduous. IoT will also generate an exponential amount of data that needs to be analyzed and processed into useful bits and pieces of information. The larger the connectivity, the higher is the risk of potential cyber attacks. As an IT service provider, you will need to come up with an ever-evolving and cost-effective security policy. Your SMB customers won’t stay around long if you fail to deliver on any of these aspects. Predicting the timeline of how quickly IoT technology is going to take off is hard. However, the technology is going to play a crucial role, and it may even change some of the small businesses radically. These ten tips will help you understand the impact of IoT and allied technologies on various aspects of small businesses from an IT service provider’s point of view. As it becomes more affordable and widely available, an increasing number of your SMB customers will embrace this technology. You must be prepared to keep up with their needs. This article was originally published at TechDecisions. It was added to IoTplaybook or last modified on 06/17/2018.